Ever get confused about when your eggs will expire based on the “Sell by” date? Or the “Best by” date? 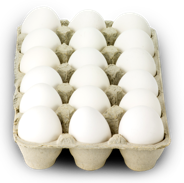 Watch this short video in which Oscar Garrison, Director of Food Safety of the United Egg Producers, gives tips to help you navigate your next grocery store visit.